Related: Wicked evolution: Can we address the sociobiological dilemma of pesticide resistance? Andrew Maynard and Heather Ross talk with senior researcher and DIY Bio expert Dr. Todd Kuiken at the 2018 Governance of Emerging Technologies and Science conference, about the present and future of DIY bio communities in the U.S. and worldwide. Gene drives are a powerful technology that may be used to control pests. The concepts key off of exploiting genetic vulnerabilities that are rapidly inherited, and cause populations to crash over a short time. Such instances happen naturally, but now scientists are engineering the genetics of pests to induce steep population declines from gene drives. Dr. Fred Gould from NC State University discusses the technology, its risks, regulation and some of the social aspects of application of the science. 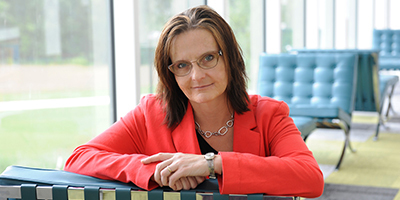 Dr. Jennifer Kuzma received her training in biochemistry, and then later found herself working in social sciences. 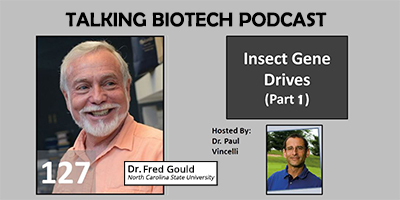 In this pod, Dr. Kuzma speaks with Dr. Paul Vincelli (@Pvincell) about the social and political considerations of gene drives. She discusses ethics, policy and regulation, as well surprising imperatives where gene drives may be necessary for conservation or human health. GES Senior Research Scholar Dr. Todd Kuiken speaks with Frank Stasio about the latest research into synthetic biology, some of the opportunities these technologies present, potential drawbacks and conversations we are or should be having about their regulation. White button mushrooms that don’t brown. Crops resistant to infection. Lab-grown meat. Chickenless eggs. Fragrant moss for your home. Gene drives to wipe out pest species. Even synthetic embryos for research. The list of new biotech products in development goes on and on. Todd Kuiken speaks with All Things Considered about the impact of synthetic biology on society, including possible dangers. That prospect worries some biologists, environmentalists, bioethicists and others. The concern is that synthetic microbes, plants or animals might damage the environment in unpredictable ways if they’re released either accidentally or on purpose. The National Academies of Science is one of the most respected scientific organizations on the planet, composed of well-established scientists and other scholars that perform important functions in vetting scientific claims and steering scientific agendas of a nation. Every several years the NAS commissions a review of the literature on genetic engineering in crop plants. Over the last several years the NAS appointed a diverse group do perform the 3rd such comprehensive evaluation. Dr. Fred Gould was the Chair of that group, and speaks with Dr. Paul Vincelli about the charge to the committee and some of the outcomes.